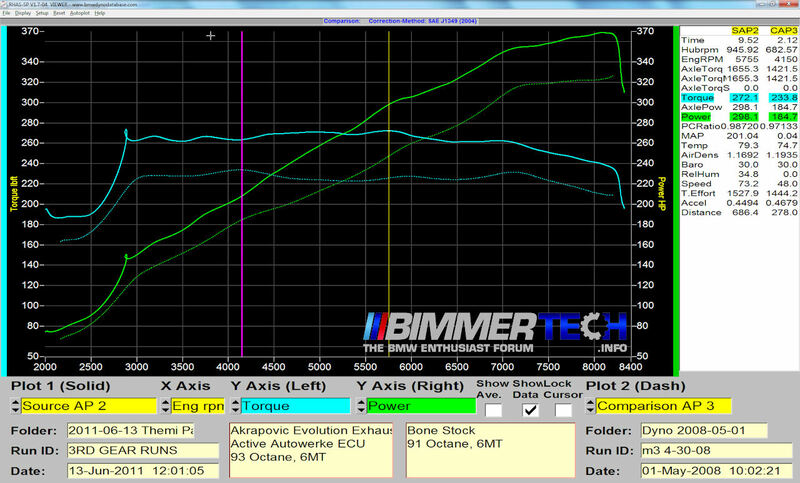 Dyno files are available from the links below. 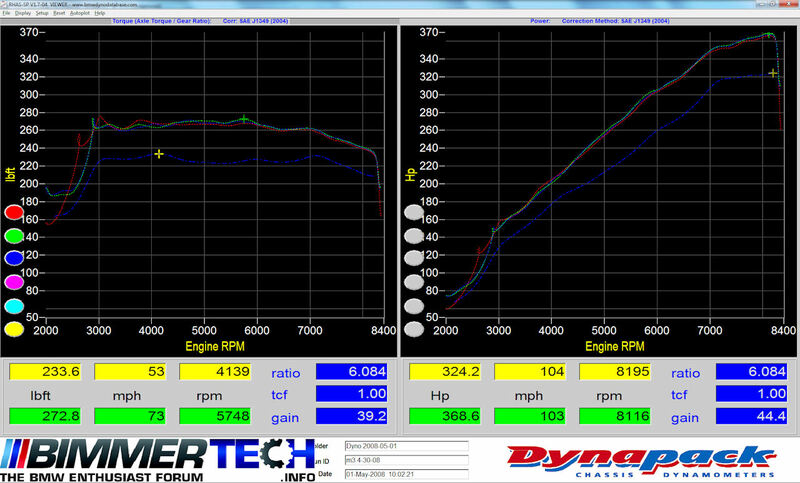 Individual dyno results are shown below. SAE corrected, STD corrected, and Uncorrected. Boost Avg: Boost calculated using trend line. This is the "official" boost for this dyno run. Boost Peak: Peak boost observed on this dyno run.